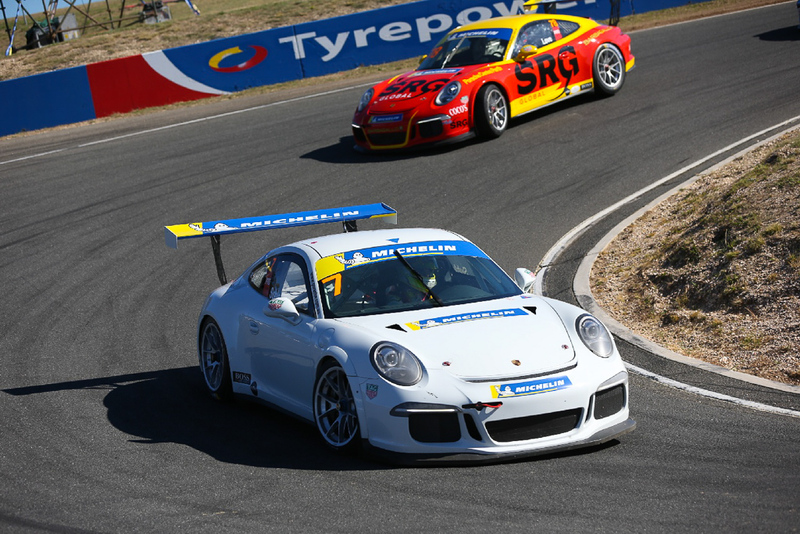 The AMRC (Awesome MR Crew) had a busy few weeks getting our GT3 Cup Challenge cars ready for the first round of the championship at Symmons Plains in Tasmania as well as getting our Carrera Cup cars ready for round three of the Carrera Cup championship at Phillip Island next weekend. 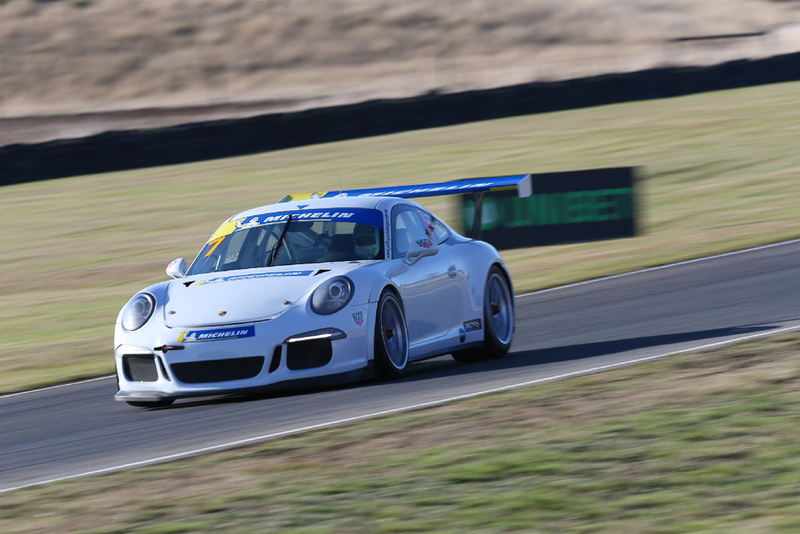 We are rapt to welcome single seater young guns Ryan Suhle and Harri Jones to join Pro-Am front runners Brett Boulton and Michael Hovey for a formidable 4 car program! Unfortunately, due to work commitments 'Hoves' was unable to make the first round. 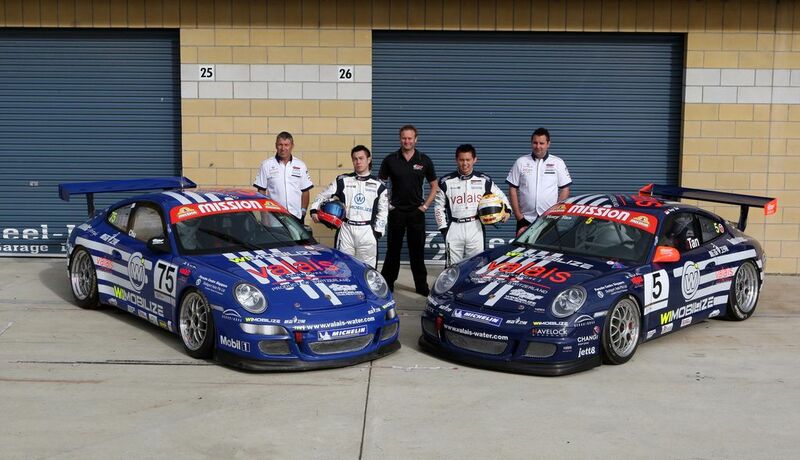 We were looking forward to returning to Symmons Plains as the last time the GT3 Cup Challenge championship was there was in 2009 and it was MR's first event with a multi-car team, running Asian drivers Danny Chu and Yuey Tan. 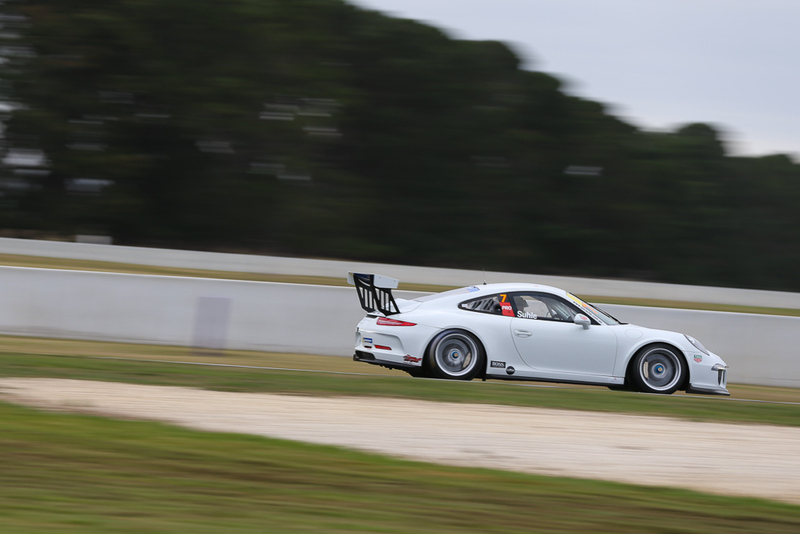 Harri started his Porsche racing career in the best possible way, qualifying on pole. In race 1 he got an average start and dropped a spot to Vidau. He drove a smart race to consolidate his position but when the front-runner started lapping the slower cars, he didn't have much luck in traffic, losing touch with the leader but nonetheless finishing a fantastic 2nd on debut. In race 2 he started 2nd, got a decent start, and stayed within a second for over 20 laps but again had no luck in traffic, but we were very happy with another solid 2nd place. 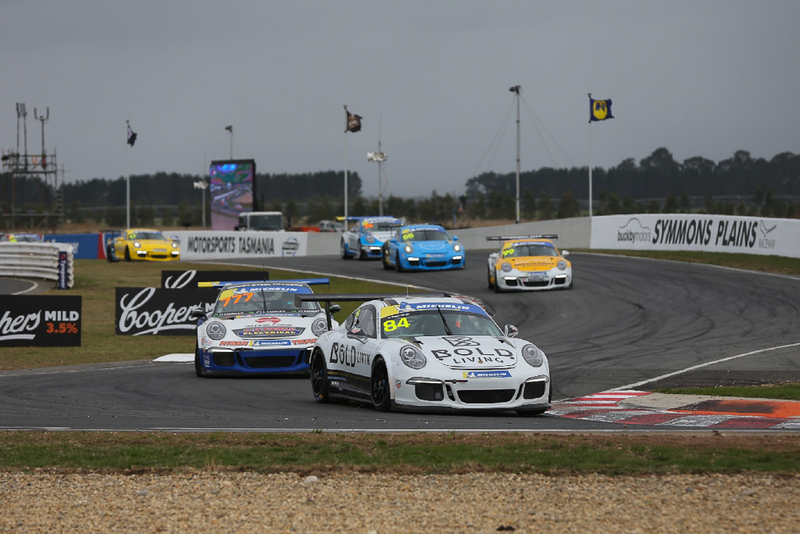 In race 3 Harri got his best start of the weekend but wasn't quite able to convert that into the lead. 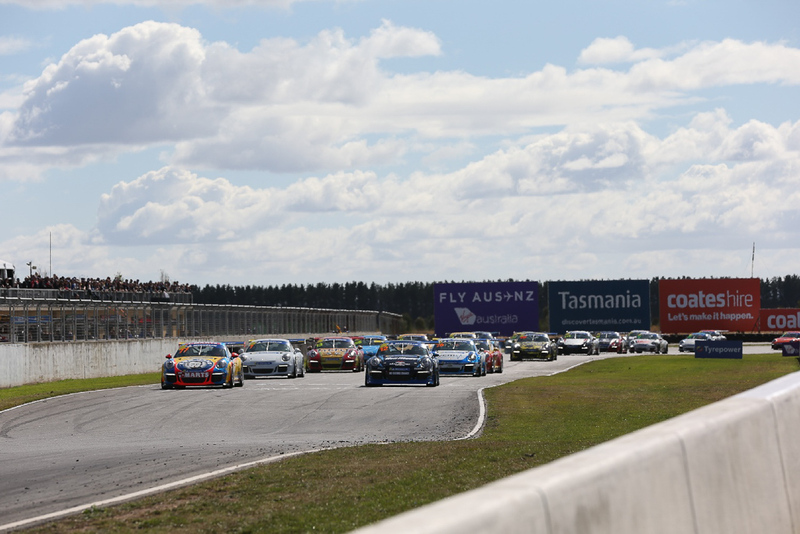 He piled pressure on Vidau for 15 laps until a safety car period which coincided with a rain shower which lead to the race finishing under safety car conditions. After topping the times in practice on Friday, Ryan wasn't thrilled to qualify 4th. In race 1 he got a decent start to get ahead of fellow hot-shot Pancioni and ran 3rd all race, which was a terrific result against more experienced Pros. In race 2 he got an average start and dropped a spot to Love and Shahin at the start. He assertively passed Shahin on lap 2 then chased down Love and made a superb pass into turn 6 on lap 7 to take another fine 3rd. In race 3 Ryan got a decent start but dropped a spot to fellow F4 graduate Aaron Love. He stalked Love for a few laps before pulling off a stunning outside pass into turn 6, for 3rd position, which he held to the safety car intervention. 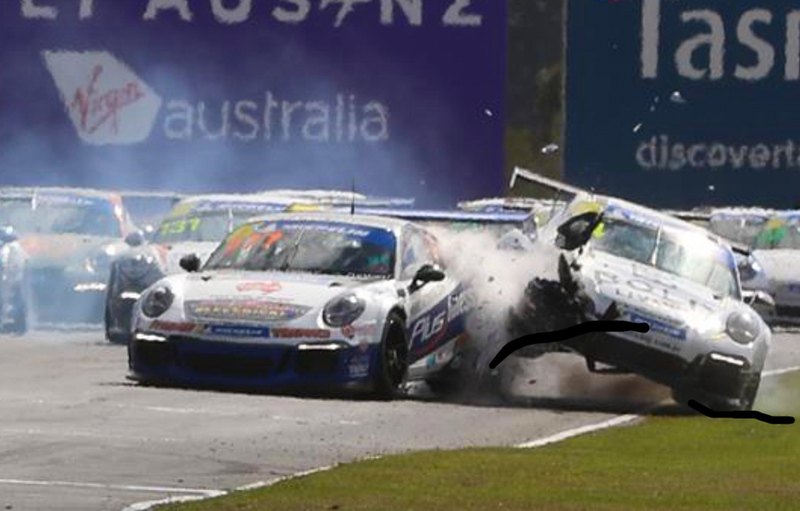 As one of the Pro-Am favourites for the 2019 championship, Brett wasn't chuffed to qualify 4th. In race 1 a car stalled in front of him and with absolutely no option to avoid it, he made heavy contact with the stalled car. The AMRC did a great job to fix the car in a narrow 2-hour gap between races. In race 2 he started at the back of the 22 car grid and he drove like a man possessed to race from last through to 2nd in class and 8th outright! This was an inspired drive given two hours earlier, it looked likely that his weekend was over. 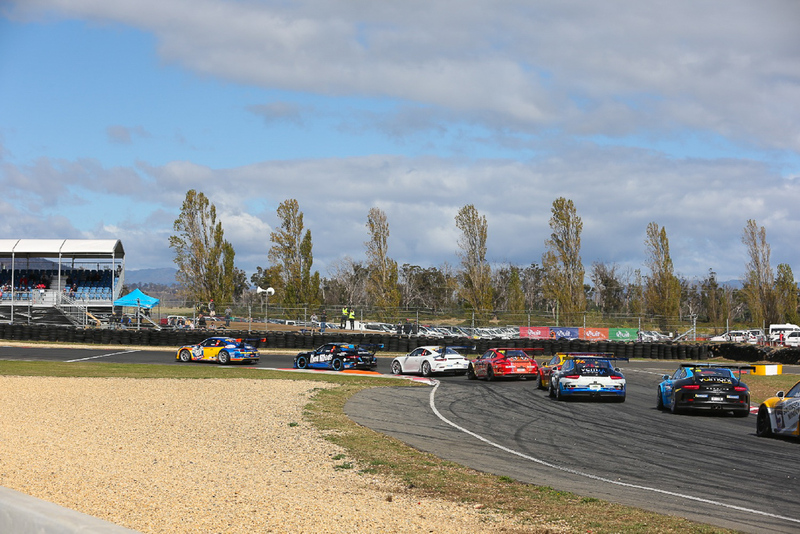 In race 3 Brett started from grid 8 and had a great race with some Pro drivers while keeping himself safely clear of the other Pro-Am drivers to take another fine 2nd position. 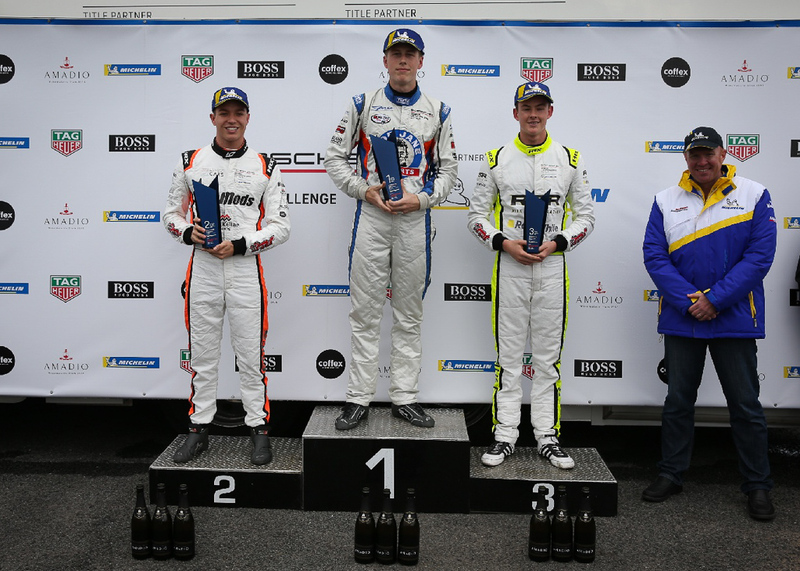 We were very pleased with the performances of all three drivers at Symmons Plains. Harri and Ryan both did a stellar job in Pro class, particularly in light of the fact there are 7 young drivers in Pro class this season, all with their eyes on the prize. 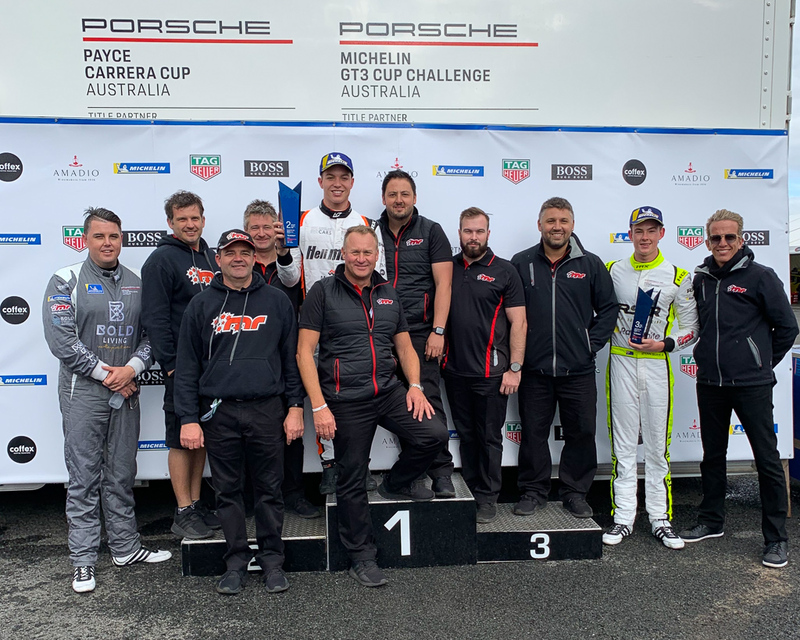 To have both of them on the podium in their first ever Porsche race weekend while learning plenty about race starts and the other idiosyncrasies of Porsche racing is exciting to say the least. 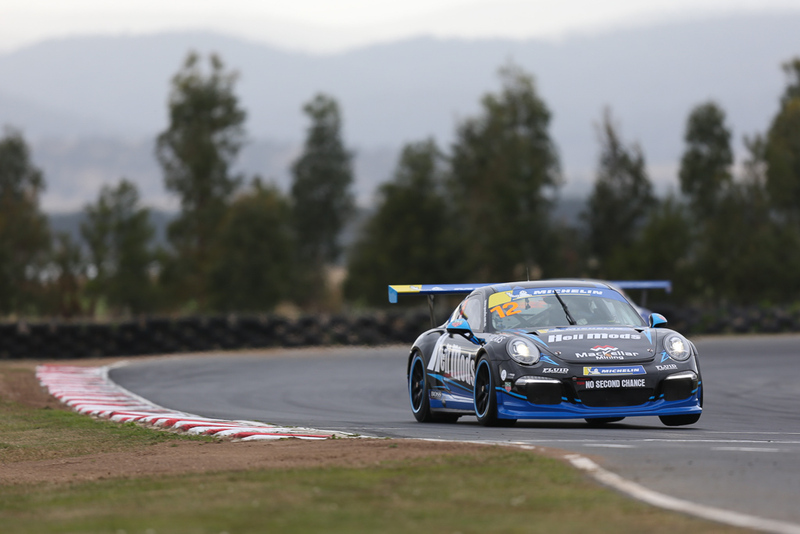 There is no doubt that Brett is a Pro-Am championship contender, despite having a DNF in the first race of the season and showed his resilience by following-up that disappointment with two dominant 2nds. 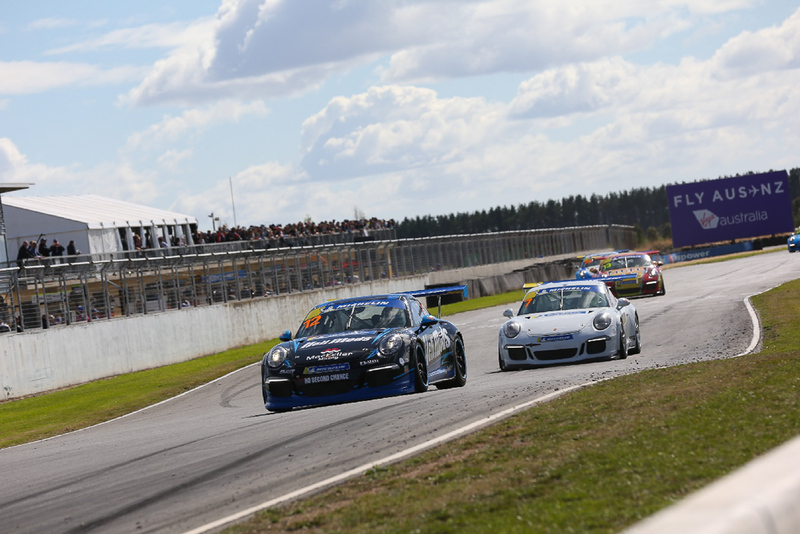 We are looking forward to the next round at Sydney Motorsport Park in 6 weeks.